Putting a price on your wedding can be very challenging as you want the best of the best for the least amount possible. 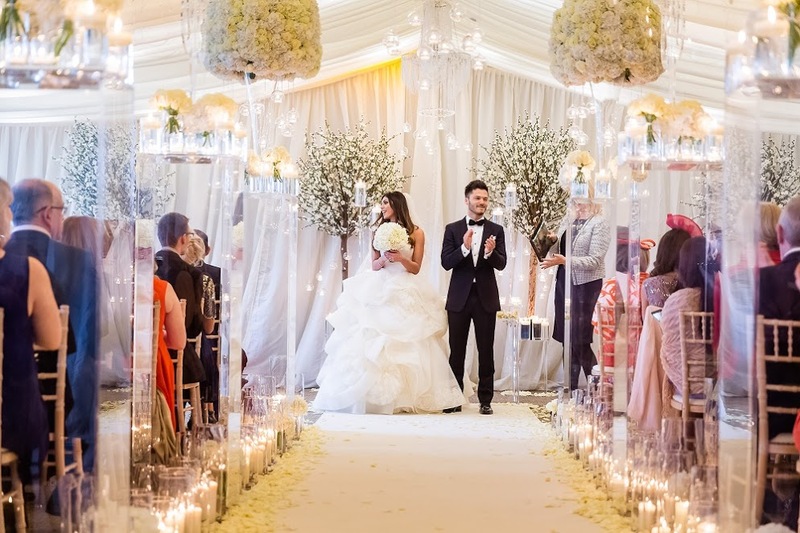 Here are our top tips for budgeting your dream wedding! The first rule of budgeting for pretty much anything in life, but particularly with weddings, is to over-budget. What is your worst case scenario? What figure will make you recoil in horror when you add up the final numbers? 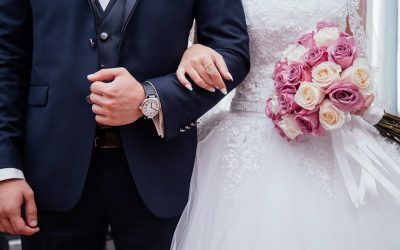 Over-budgeting will allow you some wiggle room as some aspects of your wedding may be slightly more expensive than anticipated. It is also advisable to have a back-up fund saved for real emergencies so you’re prepared for any unexpected expenses along the way. 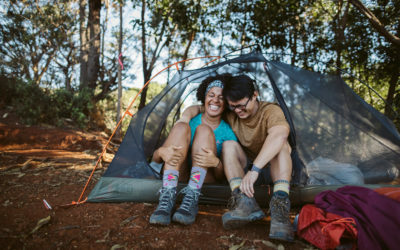 Some couples use a honeymoon registry that can provide some funds, but in spirit of “not counting your chickens before they hatch,” you can’t rely on what you might get. Nowadays it is common for couples to fund their weddings on their own, however, you’d be surprised at how generous friends and family can be! Your parents may not foot the entire bill, but they may be willing to pay for specific things like the photo booth, band, or cake. On the other hand, perhaps your relatives are willing to foot the entire bill between them! Be careful how you phrase things, but ask your close family if they’d be willing to contribute to your big day, and you may be surprised with the results. Of course, if you are set on paying it all yourself, then more power to you! You may want to go for the best of the best for food and save on your favours. Of course, this is a rough guide, but it will help you work out where you want to allocate more funds. We can recount plenty of weddings where the Great Aunt is a master baker and offered to make the cake, or the Uncle is a graphic designer who produced amazing wedding stationery. Talented people are all around us and can save you so much money! Many will offer to help you for free or for a fraction of the price of industry professionals. Proceed with caution though; make sure you have seen a portfolio of your friend or relative’s work before hiring them, as you don’t want any rifts before the wedding! Haggling is a skill, and part of that skill is knowing when NOT to do it! For flat-rate suppliers like photographers, stationers and cake designers, we wouldn’t suggest negotiating with unless they offer. You may get a good deal on hair and makeup if you employ artists to style over three people. Individual favours in bulk like macarons, cake pops, mini bottles, and flip flops can also be found at a great price the more you order. There are some deals to be had but proceed with caution. Tip 3, prioritising, will help guide your personal save and splurge meter. However, it’s useful to know where you can get high quality for much less and where you should invest for a bit more. We at Better Together Weddings always recommend you go higher end for photography and videography. This is because a great photographer will produce work that lets you relive the day over and over again. That’s priceless! On the other hand, you can save on wedding cakes as you can buy ready-made sponge tiers to stack and dress yourself for as little as £80 in total. Get savvy! So often, couples have a very fixed idea of what they think things cost and are shocked by the reality. A prime example: tents or marquees are not cheap! For some reason, marquees and tipis are framed as an inexpensive option as opposed to traditional wedding venues. Perhaps this is because, at their core, they are just giant tents! When you take into account all of the extras needed for tipi/marquee weddings (i.e power generators, luxury portable loos, heating, lighting, furniture, etc), you’ll find that tipi/marquee weddings are about the same price as traditional venues. Do your research and you’ll have a much clearer idea of what things really cost. We at Better Together Weddings love Pinterest! It really helps you visualise and collate your ideas. Suppliers also find it incredibly useful to have your vision in one easily accessible moodboard. That said, Pinterest is also guilty of displaying some of the most beautiful and expensive weddings in the world. It doesn’t tell you that the 15 tier wedding cake you saved is £15k. There’s no note to tell you that the 20 ft wall of white flowers is £100k. 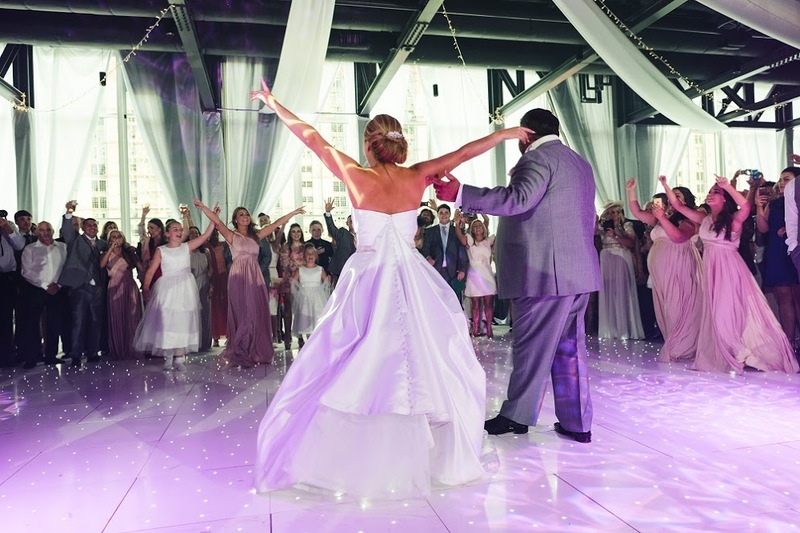 Your wedding can still be beautiful, but let your suppliers help guide you on how far your money will go.Putting a price on your wedding can be very challenging as you want the best of the best for the least amount possible. 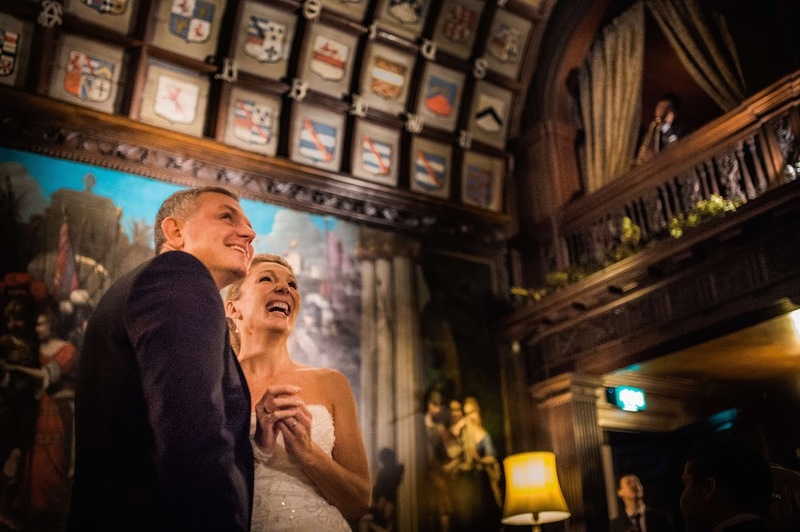 Here are our top tips for budgeting your wedding! There is truth in saying that DIY can work out far cheaper for you, particularly in areas like stationery and favours. Every bridal magazine has great ideas for what you can make yourself with relatively cheap materials. What DIY does spend is time. So. Much. Time. Set aside part of your schedule every week to get stuff done, but if it is too overwhelming, stick to professionals. Shameless plug? Maybe a little, but it is true! Even though wedding planners are considered an extra expense, we actually make the management of your budget a lot easier. Not only can we help you allocate a percentage of funds to each section appropriately, but we can monitor your spend so that you don’t go over budget. We are also connected to some amazing suppliers we work with on a regular basis which means we can haggle the best price for you. When beginning the process of ordering your paper goods, make sure to have a plan of attack in place! 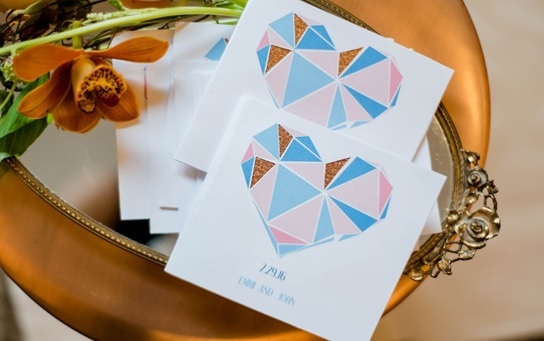 A very important aspect of your paper goods plan is your wedding planning budget. 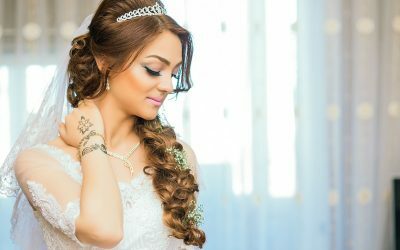 Many brides only plan for the actual invitation and forget about things such as RSVP cards, an additional information card, envelope liners, postage, and more when computing what they feel they can commit financially from their overall budget. When you add up all of these additional costs, it can sometimes seem overwhelming, and expensive! Hiring a designer can actually help you stay on budget. A designer will have an arsenal of cost efficient ideas and tips such as using in house printing, and wholesale accounts for paper. Typically, custom invitations can range from $3.50 up to $25.00 per piece based on the complexity of the design, printing process, or garnishes. All things sparkly and floral with a Kate Spade inspired stripe. Planning also includes having everything necessary for your designer at the ready. For example, a guest list estimate is necessary for factoring in how many invitations you might need! 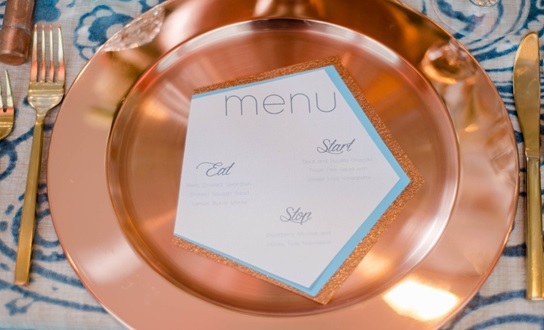 Bear in mind that fewer invitations cost more per piece than larger quantities when dealing in custom printing. Having a guest estimate will assist in determining how much your paper goods will cost and how long the printing process might take. 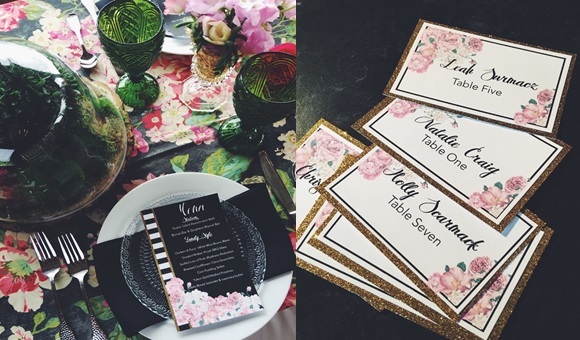 At Garnish Event Design, we believe that your wedding invitations should be sent out at least 6-8 weeks before your wedding. This means that you should be in contact with a designer at least 2 months before the mailing deadline! Because we want you to have your dream invitations”we want to ensure a stress free period of time for concept creation, your revisions and final creation approval! Also make sure to consult your calendar to select an RSVP date that allows a cushion of a few extra days for any responses that may arrive late. Garden innocence with rose gold accents. The saying goes that the devil is in the details¦ and before contacting a designer to begin your paper good process, there are still a few more details you need to consider! When a guest gets your wedding invitation or save the date card in the mail, it is the very first glimpse they have into your fairytale. What do you want them to see? How do you want them to feel? 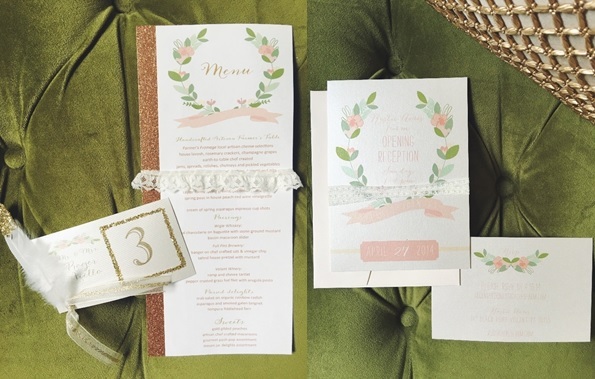 Whether you are preparing them for a rustic barn wedding, a glitter and glam cocktail party, or a botanical garden celebration”Garnish Event Design will help you create the most perfect paper goods that bring your vision to life. 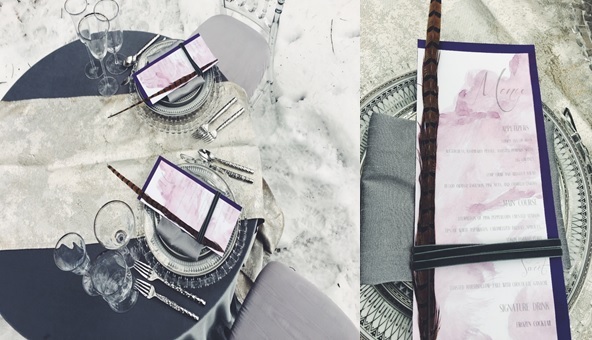 To help you with this process, we suggest creating a mood board that you will be able to share with your designer. This will be the initial step in creating your personal brand. Remember, keep it cohesive and reflective of you as a couple. You don’t need to obsess on trends! Printed on watercolor paper and garnished with pheasant feathers and raw velvet. Hand Painted by Jason Flores. It is finally time to contact a designer! Once you have found a few you may be interested in, make sure to check out any samples they have on their website. You want to choose a designer who best suits your tastes! 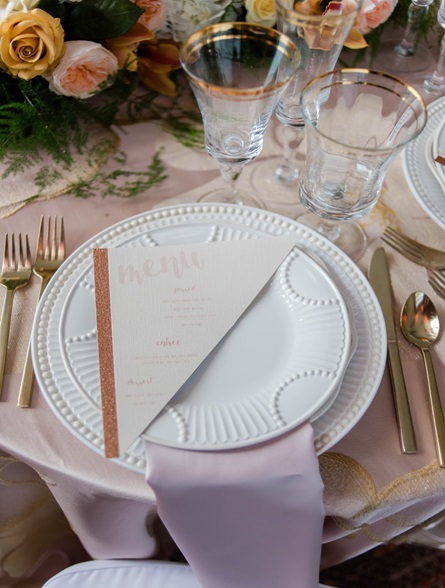 During your initial conversation, it is important to share all of the items and details you have already planned, such as your guest count and your mood board! Once the designer has these items, it will be much easier for them to start on the design process. 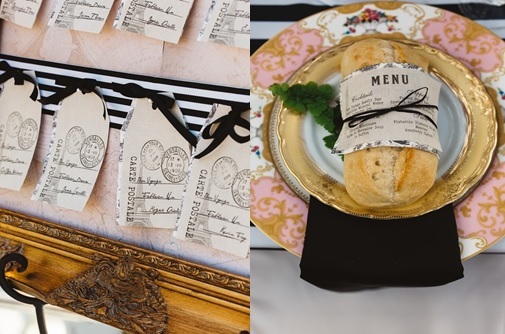 Our team at Garnish Event Design want your paper goods to be a dream come true! Therefore, our designers spend a lot of time getting to know you and your fiancé as people and as a couple before beginning your design. What do you envision your wedding day looking like? What are your favorite things? Favorite colors? The most memorable place you have traveled? Is there anything you strongly dislike or obsessively love that you REALLY want to include or not include? Answering these simple questions, along with your mood board, gives us a better idea of how to create your perfect paper goods! Once your paper goods have been designed, printed and made their way to you”it is now time to prepare your invitations for send off! At this point in the process, you have already created a guest list, but since most designers leave addressing the envelopes up to you, there are a few things you may want to do to take extra precaution! 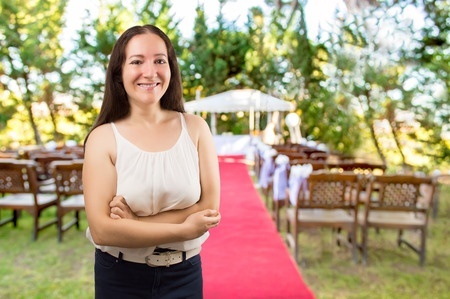 Have you made sure that each and every person on your guest list has the correct title? Mr., Mrs., Ms., Miss¦ Have you made sure that everyone is accounted for? Do you have all of your guest’s updated addresses? Guest list in pristine condition, there is just one last thing to consider, the envelope itself. Will you choose to address the envelopes with an at home printer, or will you take them to a local print shop? You could also send them to a calligrapher. If you choose this option,Laura Hooper Calligraphy and Calligraphy by Jennifer are a few of our favorite artisans! If you want to do something extra to add to your overall theme or style, custom stamps are a unique way to go. Check out online companies like Zazzle to order custom stamps complete with engagement photos or wedding monograms. 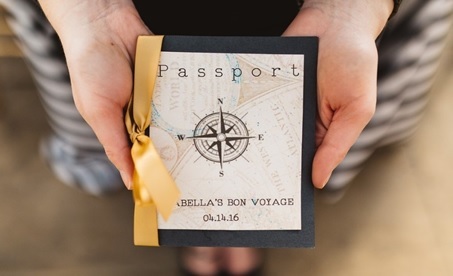 Or, if your wedding is more on the vintage side, try finding antique postage stamps on Etsy. Either way, a custom stamp will add that last amazing touch as your prospective guests pull the envelope from their mailbox! Once your invitations are sealed, it is time to drop them in the mail box. Don’t worry, your guests are going to LOVE them. Congratulations! Just like that, another important item has been crossed off your wedding to-do list! Now you can devote your attention to other details, including planning your honeymoon and setting up a setting up a honeymoon registry. Bio: Garnish Event Design is the design and decor division of the award-winning JPC Event Group. Garnish is a full-service event planning and production company, with distinctive floral and décor design located in the Pittsburgh area, servicing all areas of the city and beyond. At the core of our success is an obsessive dedication to perfection, and a team that works in concert to ensure extraordinary client experiences. The Garnish commitment to excellence embraces a professionally trained and certified team with a cornerstone of creativity, excellence and capability. It’s our job to pay attention to detail. But it doesn’t end there¦ our company culture also embraces sustainability and partners in every segment from fresh floral wholesalers to linen companies with strong green initiatives. Inspired design and décor, meticulous planning, distinctive service, and a full inventory of event equipment allow our clients to realize their vision in effortless style. We delight in the details so that you can delight in your day.For more information, see www.garnisheventdesign.com.